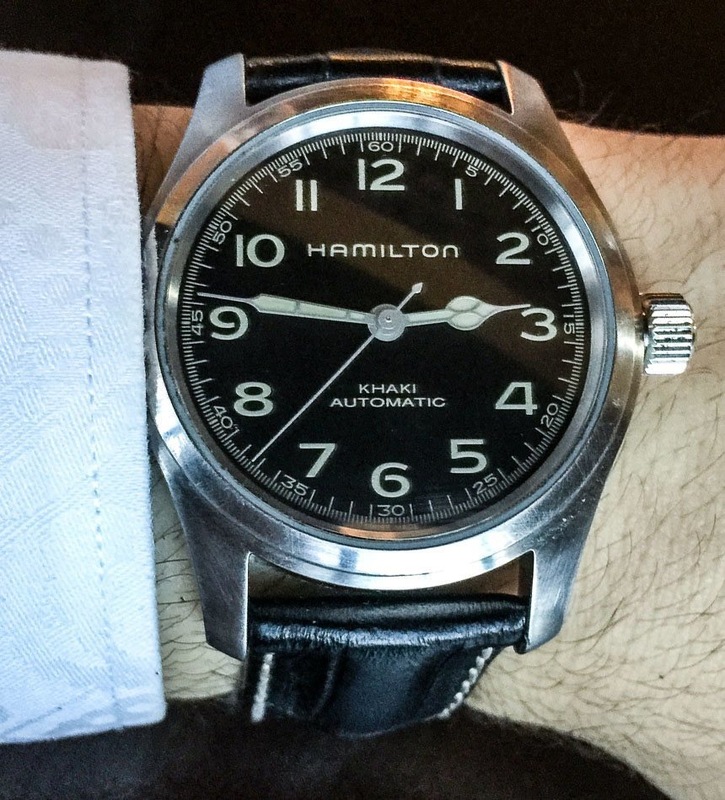 Hamilton – This is a timepiece : Khaki Automatic with black face, cream numerals, fully one to twelve hours, minute and second ticks with fives and a timeless (excuse the pun) font. 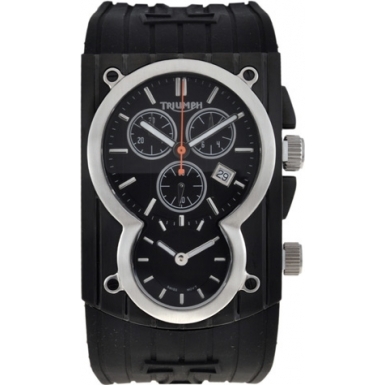 Stainless body, black leather strap. Perfection. This is Murphy’s watch from the movie Interstellar, with time being a major part of the film, director Chris Nolan wanted the watch to play a pivotal role. This model is not available for retail… drat! Quelle heure est il? 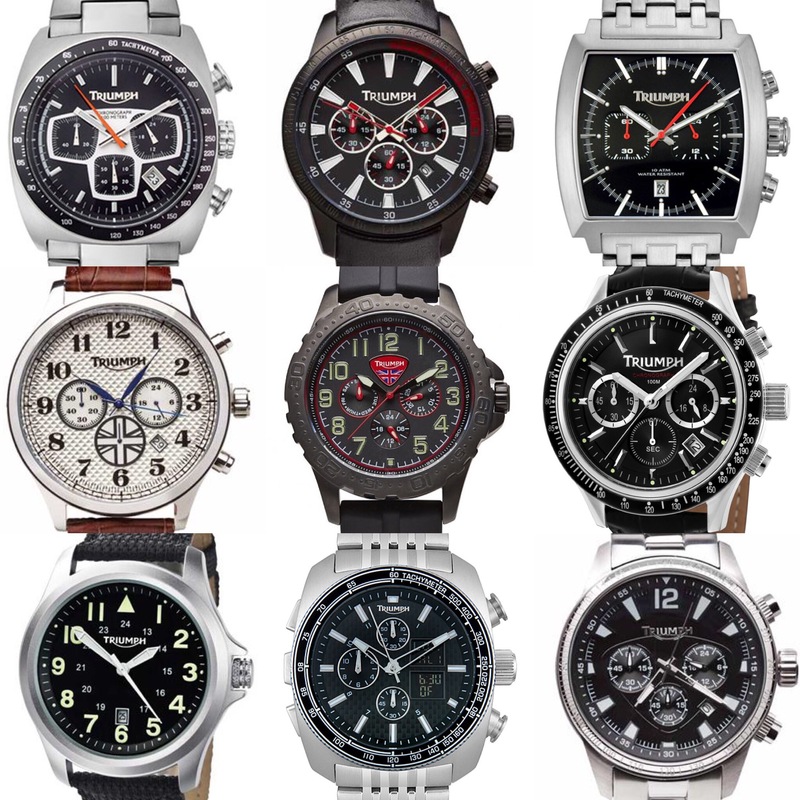 The many faces of Triumph timepieces. One through teelve and zero to sixty; timers and calendars; velocity and minute bezels; leather strap or stainless bracelet. With smartphones watches are becoming defunct, but I’ve gone back to wearing one for ease of timekeeping. 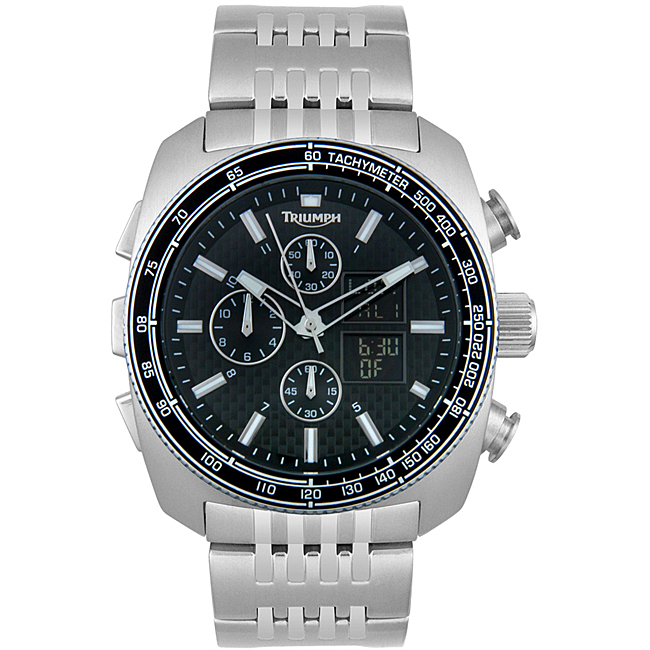 The Chronograph lives on! At the third stroke it shal be eight thirty precisely- fancy illuminated dealership wall clock. Backlit with neon it would let salesmen know when it was their tea break or buyers know how long they’d been ogling the latest models. 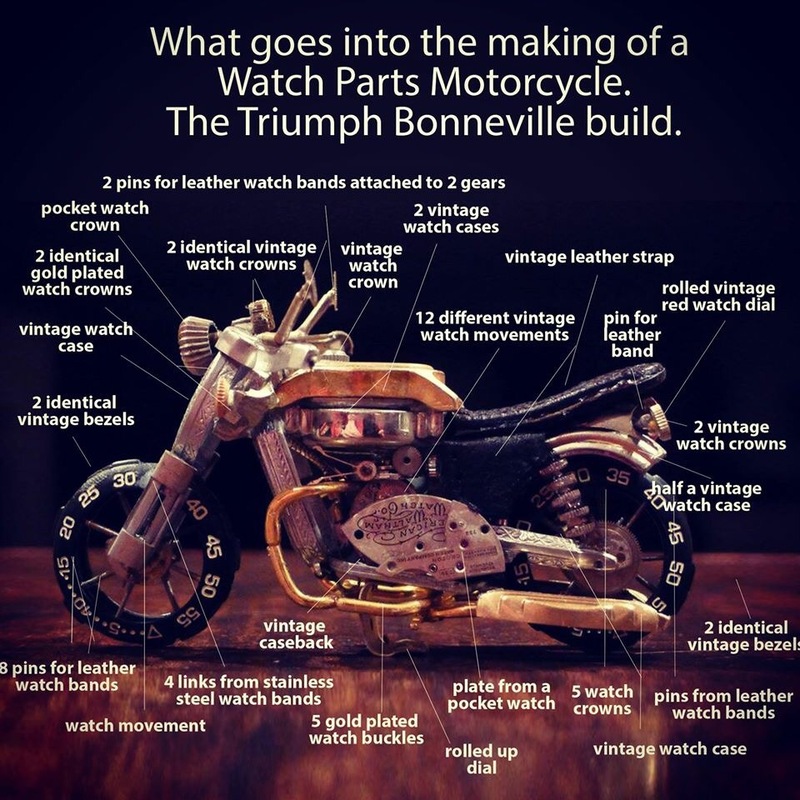 Some inventive model hobbyist has taken a box of old watch parts and reassembled them into a motorcycle. Well at least at idle the engine should tickover very well! 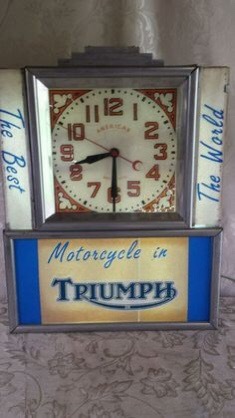 A timepiece bearing the Triumph logo as well as numerous timing, countdown, stopwatch, and alarm functions. Chunky like a James Bond chronograph..
..or something for the Interational traveller perhaps; complete with a second timezone. Or a little more sophisticated; suits you sir?